What is Public Awareness Weekend? 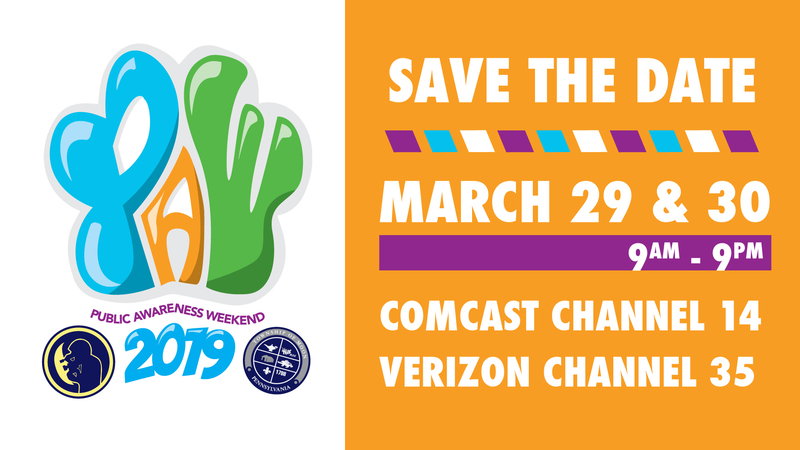 Public Awareness Weekend (PAW) is a two-day, 24-hour, live television event featuring interview broadcasts with Pittsburgh area nonprofits. Each organization has the opportunity to speak for 30 minutes to educate others about their cause and encourage the community to get involved. The program airs live from 9 a.m. to 9 p.m. each day. Interviews are rebroadcast periodically throughout the year. Tune in to PAW on MCA-TV on Comcast channel 14 and Verizon Fios channel 35. The station reaches approximately 45,000 households in Moon Township and neighboring communities. Interested in sharing your mission? Any nonprofit organization interested in participating in Public Awareness Weekend should contact Allison Eastham at aeastham@moontwp.us or 412.269.1191. Interviews are scheduled on a first-come, first-served basis.